Where is Mt. 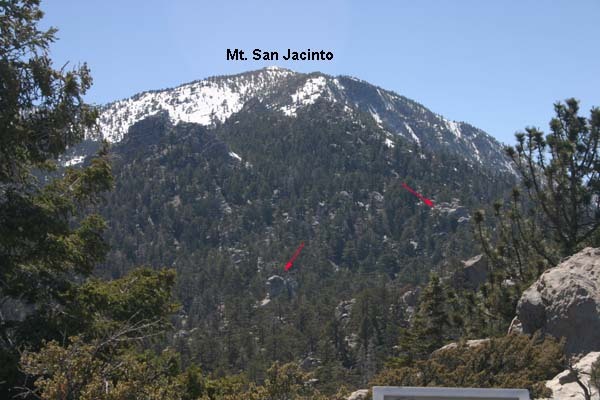 San Jacinto and the Palm Springs Aerial Tramway? As the bird flies, it lies roughly 90 miles South-East of Los Angeles or about 97 South-East miles from my home in Gardena. 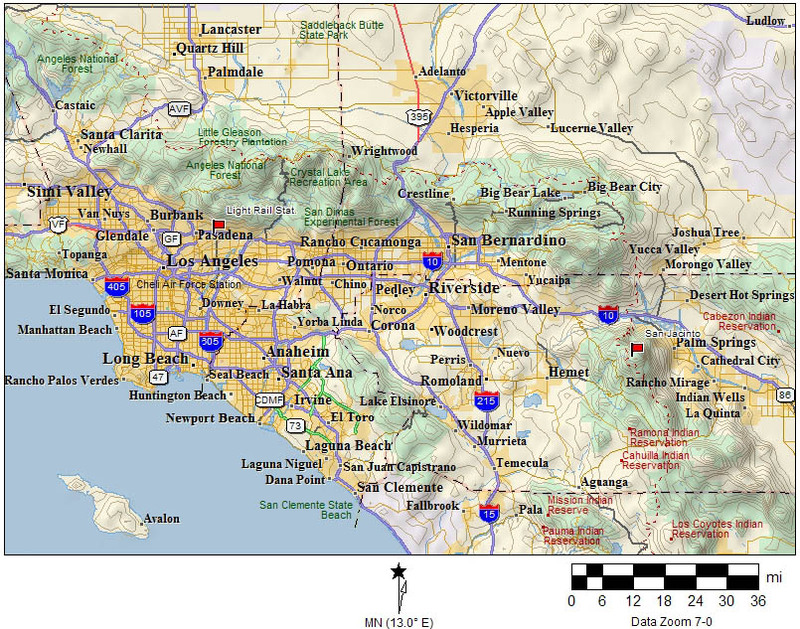 In the map below, look for the red flag on right-hand side. Introduction: There are not many places in the world were one can terrestrially scale five different temperate zones in 10 minutes. The Palm Springs Aerial Tramway -- considered by some to be one of the world's greatest wonders -- passes through five unique life zones: Mexican Sonoran (desert) to Hudsonian-Canadian (Arctic/Alpine). Reaching an elevation of 8,516 at the Upper-Level Mountain Station, the amusement-park-like tram ride ascends nearly 6,000 feet and covers a distance of almost 2 1/2 miles. 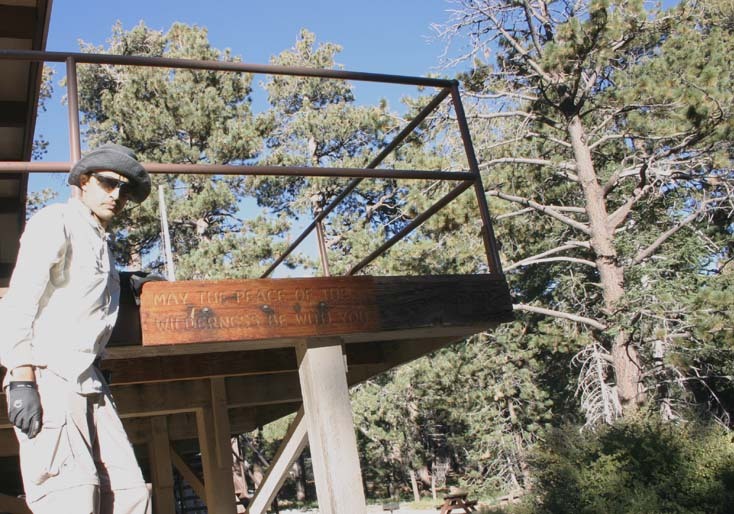 From the Upper Station, one can hike to many interesting areas including the summit of Mt. 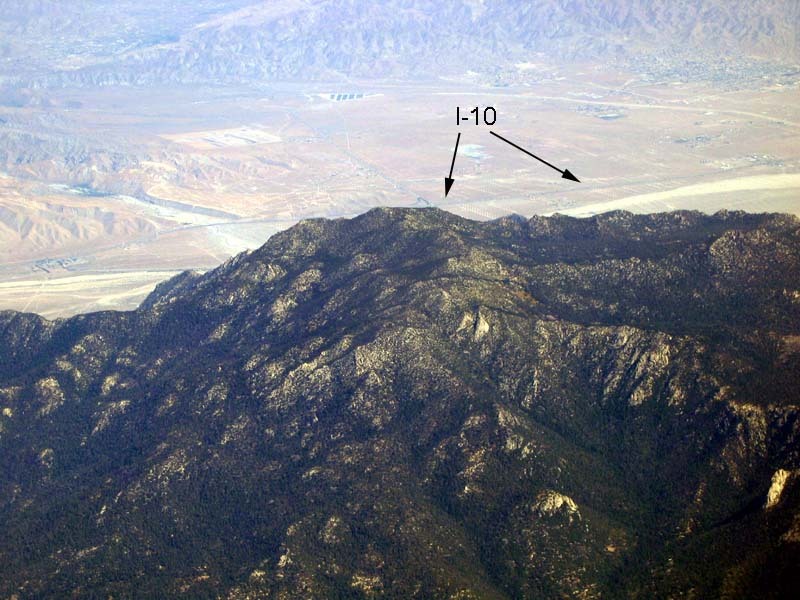 San Jacinto; at 10,831 ft, it is the second highest mountain in Southern California. It's amazing that one can ski within three miles of a Southwestern-U.S. desert! Technical: All images -- except second panorama -- photographed with a Canon Digital Rebel 300 EOS camera. Focus: manual. All other parameters: manual. A tripod was also used. Second panorama's images were taken handheld using a Canon A80 in full Auto mode. Panoramas created with Pano Tool Assembler. Final tweaking and editing done with Adobe Photoshop Elements 2.0.